Depending on the level of experience you have operating your chosen category of plant we have two courses you can attend. Please remember help and advice is available on 0800 130 3225 if you would prefer to speak to one of our advisors. The CPCS Experienced Worker course is for you if you have at least six months experience of operating the category of plant you want on your CPCS Red card. The two day CPCS Experienced Worker course is about making sure you are ready to pass the stringent two part CPCS theory & practical test. The CPCS Red Card Experienced Worker course is a two day course. Day one of the course is an in-depth look into the CPCS Theory element of the test, and a guide to the practical exercises you will have to complete during the practical part of the test. Category specific plant preparation, operation and shut down procedures. By attending our course you can be sure that you will be ready to face these questions and reach and surpass the 80% pass rate that is required to pass the CPCS theory test. Our trainers will ensure that you are fully briefed on all the questions you will face and such is the quality of our course candidates that attend enjoy pass rates of over 95%. As an experienced operator less time is taken briefing you on the practical elements of the CPCS Test as you will have experience of how to drive and operate the machine you are going to be tested on. Nevertheless your trainer will give you a full explanation of what driver/operator skills you will be tested on and guide you through the practical test area. Your trainer will ensure that you are fully familiar with the machine you are being tested on and the course which you will be tested on. Prior to attending the course we will send you a copy of the CPCS Theory test questions in order that you can fully prepare yourself for the test. To be eligible to attend the CPCS Experienced Worker Red card course, candidates must have passed the CSCS health safety & environmental test at Operative level, within the within the last two years. If you are not sure when you last passed the CSCS H&S test call us on 0800 130 3225 and we will be able to tell you, or if you want to book a H&S test again you can call us for advice. The cost of the CSCS H & S Test is £17.50 and tests can be taken at your local driving test theory centre. On successfully passing the CPCS Experienced Worker course, you will qualify for a Red CPCS Trained Operator Card which is valid for two years. 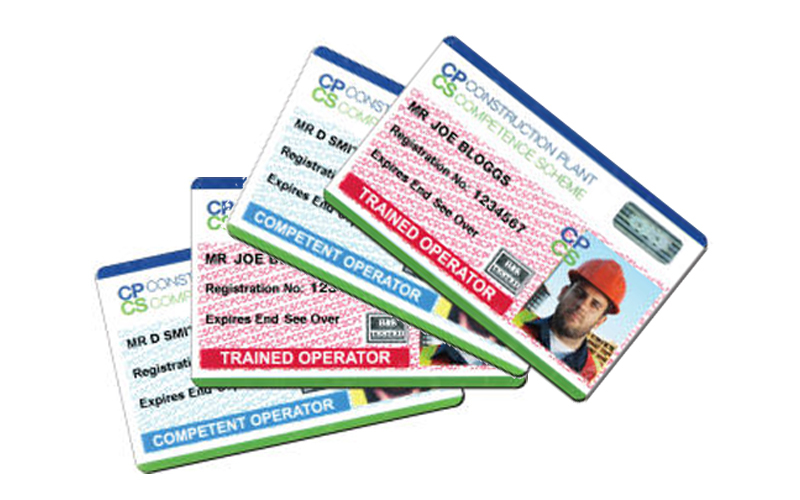 During this two year period you will need to pass a L2 NVQ in Plant Operations, (in the appropriate category of plant) and you will then be able to upgrade your Red CPCS card to a Blue Competent Operator card. We will apply for your CPCS Red card for you and the card application fees and the cost of the card are covered in your course fees. In most cases we can offer you funding towards completing your NVQ and more information about this can be supplied to you at the time of booking your course. Check availability and prices now! A member of our dedicated training team will contact you with course details, locations and prices. We deliver construction training courses across the UK. Call us on 0800 130 3225 for more information. Copyright 2018. All Rights Reserved. Privacy.